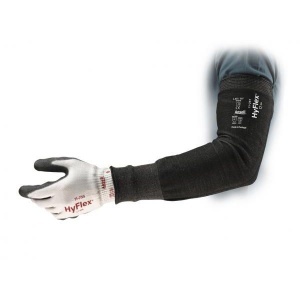 The Ansell HyFlex 11-250 30.5cm Cut-Resistant Sleeve is a durable sleeve manufactured from Intercept Seamless High Performance Polyethylene (HPPE) for exceptional comfort and outstanding protection against mechanical risk. Resistant to abrasion, cut, tear and puncture, this sleeve is ideal for use in the aerospace, automotive, metal fabrication and machinery and equipment industries, and is available in either a narrow or wide design to suit the preference of the user. This sleeve is available in one size, which should fit most users. 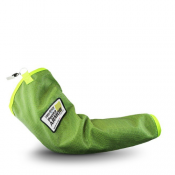 The sleeve itself is 30.5cm in length; please use the drop-down menu above to select either the narrow or wide design. 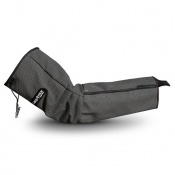 The sleeve is available in a narrow and wide design, allowing you to choose a fit that suits your needs. 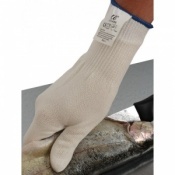 Please note that the price listed here is for one Ansell 11-250 Sleeve only. The glove pictured is sold separately. Staff really liked the comfort of the sleeve.